Let your inner queen shine and slip into our nightingale short triangle cup chemise. This high quality chemise is made of 100% silk so soft it’s irresistible to the touch! 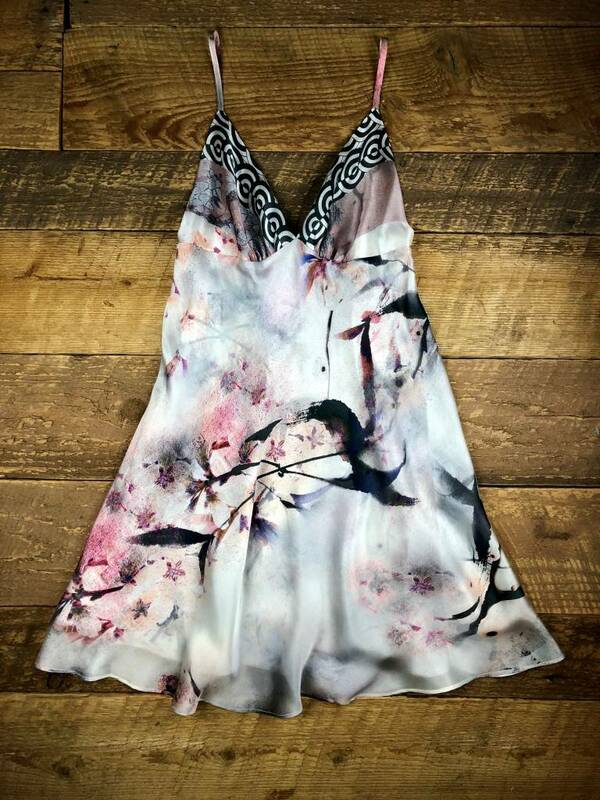 The floral print on the pure silk fabric is made unique and one of a kind.